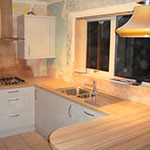 Clients approach us with many different properties and levels of refurbishment. Levels can vary from stripping the building back to its shell including reproofing, rewiring, re- plumbing, plastering and new windows. 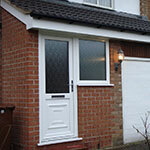 This then allows the interior of the property to be tailored to the client's exact specification. Smaller scale refurbs are always an alternative from kitchen and bathroom refits to individual rooms or offices. 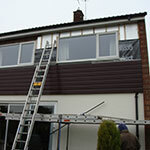 A quality extension will gain you extra space in your home and add value. We have experience in many different fields, so whether it is a kitchen extension, annexe or complete new wing we have the skills and experience you can rely on. 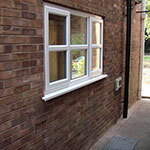 No job is too small · We cover all aspects of joinery work, property maintenance and building work. Whether it is from replacing roof tiles, single door and window units, or new skirting boards right the way through to flat roof conversions we have the experience and knowledge. We work closely with all clients to help them design their dream bathroom. Each project is individual and specifications can range from premium tiles to designer bathroom suites. 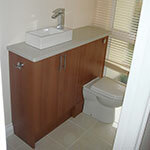 A quality bathroom can add thousands to the value of your home or rental income. We work closely with all clients to help them design their dream kitchen. Each project is individual and specifications can range from handmade kitchens, granite installations, mainstream kitchen suppliers and premium tiles. A quality kitchen can add thousands to the value of your home or rental income.